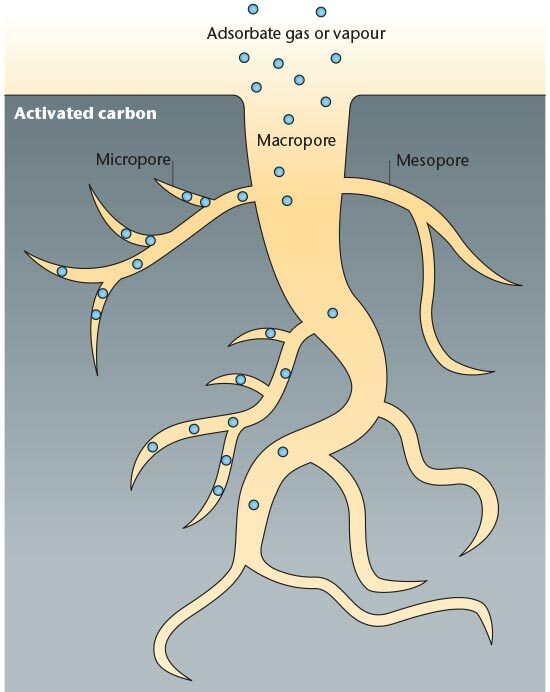 Magnification of the surface area due to the increasing number of micro pores that have great adsoroption ability is the main purpose of the production of activated carbon. Characteristics of the pores and even then vary depending on the application or use of activated carbon as an example the pores of the activated carbon used in the liquid, will be different which is used in gas substances. Characteristics of the pores can be designed and made during the production process. 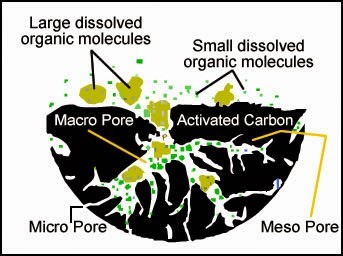 Basically the manufacture of activated carbon will involve high temperatures and adjuvant activating that can be a steam, CO2 or chemical, depending on the characteristics of activated carbon, or more specifically in the pores of activated carbon are generally calculated by its surface area of the activated carbon. Additionally hardness of activated carbon is also other important quality factors of the activated carbon. This article is a continuation of my previous article about the production of charcoal from coconut shell and palm kernel shell continuously. Alhamdulillah can be done writing. Activated charcoal production requires charcoal as raw material. The charcoal can be produced in both traditional and modern process. 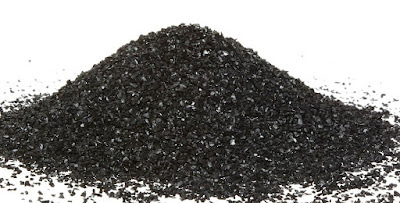 Charcoal quality will affect the quality of the final product of activated carboon. Modern charcoal production continuously be able to make the whole process of the activated carbon production becomes efficient when both are integrated into one. In the process of making charcoal which usually need to be cooled beforehand so into charcoal, then it can not be done when the production of charcoal continuously. Results of carbonization directly into the activation unit with only slightly raise its temperature, ie, if the carbonization ranging from 600 C and the activation of about 900 C. When using raw charcoal from the traditional process as a raw material, it takes far more energy to achieve the activation temperature of about 900 C.
Once out of the activation process, the active carbon is cooled by removing a number of considerable heat. Heat is released in large enough quantities can be used for drying coconut shell or palm kernel shell, giving it a special process of carbonization become more efficient as well as a whole with the activation. Activation adjuvant to be inserted in the activation process is well regulated its operating conditions of temperature, pressure and residence time to get the quality and quantity of activated carbon desired. In the activation condition, likened charcoal is material be punched by the activation of materials at high heat. There are many variants of activated carbon can be designed specifically for their intended use, so that the operating conditions and auxiliaries activation there are also variations.